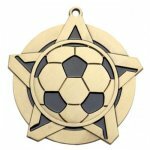 Most medals are available in Gold, Silver and Bronze. Medals come with a neck ribbon or a pin drape ribbon. Dogtags are available in silver and come with a ballchain. Engraving is included. 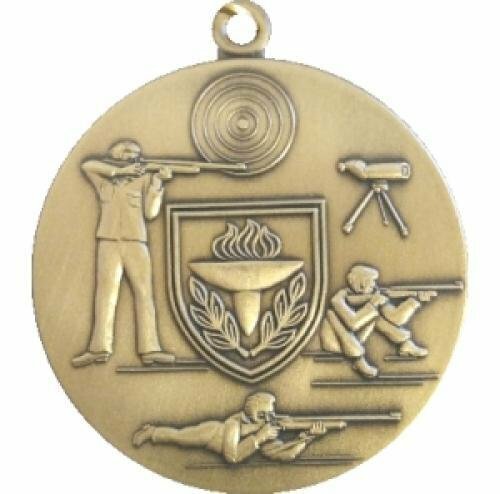 Rifle firearm medal with high quality detail. Many different ribbon colors to choose from. Up to 6 words of engraving included. On a tight budget? 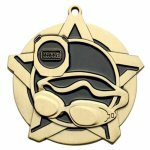 Unengraved medals are even lower priced. Click here. Production lead time for this award is 5 days. 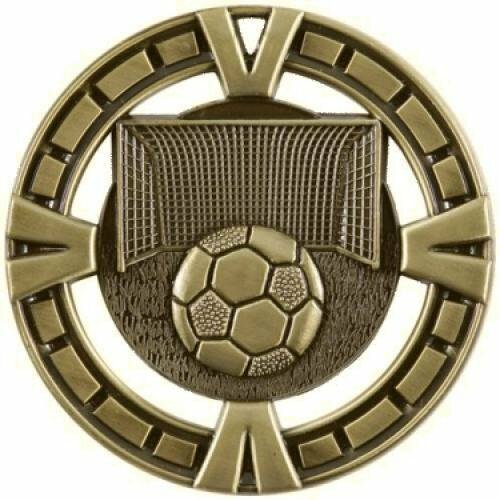 This award has a maximum order quantity of 20. 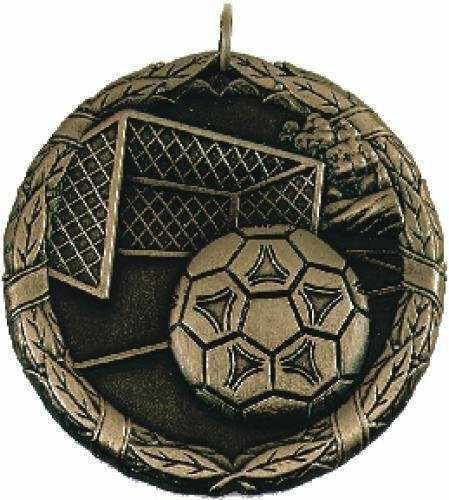 Soccer Goal medal. Many different ribbon colors to choose from. 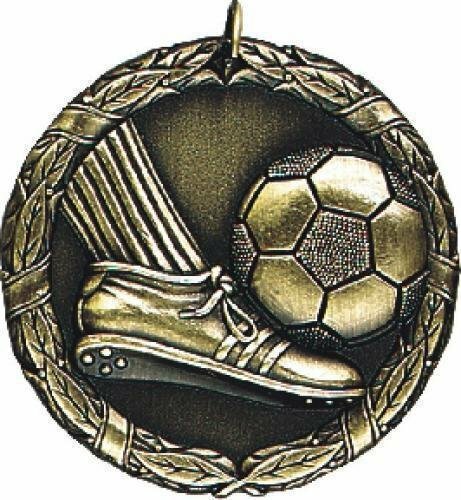 Gold, silver or bronze medal. Soccer medal that's larger than most. Available in gold, silver or bronze. Many different ribbon colors to choose from. 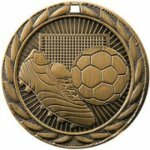 Female Soccer medal in high quality detail. Many different ribbon colors to choose from. Production lead time for this award is 5 days. This award has a maximum order quantity of 22. 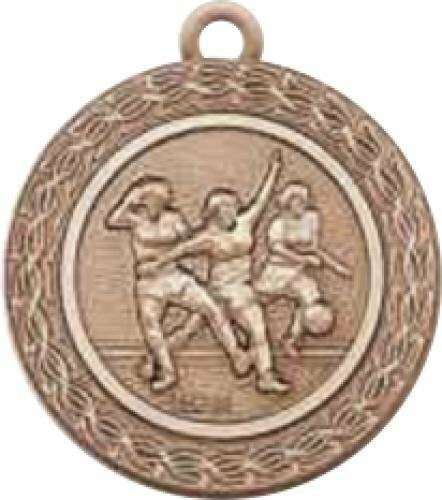 Soccer medal. Many different ribbon colors to choose from. 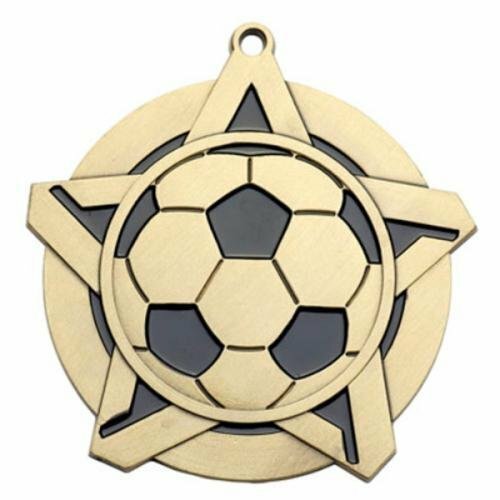 Soccer super star medal. Many different ribbon colors to choose from. 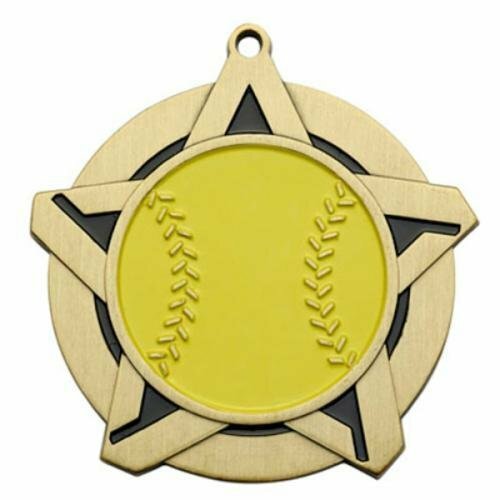 Softball super star medal. Many different ribbon colors to choose from. 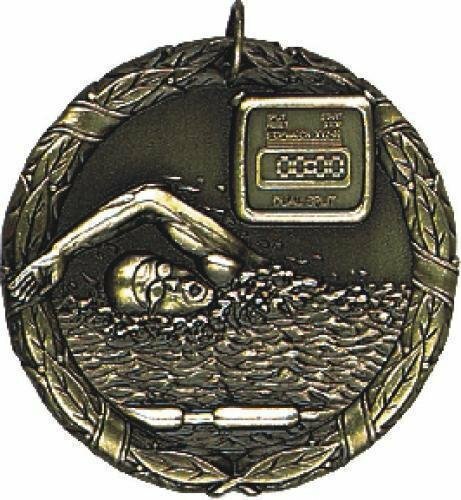 Swimming medal. Many different ribbon colors to choose from. 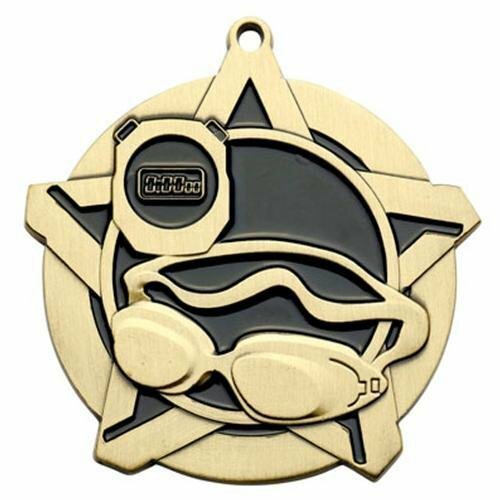 Swimming star medal. Many different ribbon colors to choose from.